ETHICAL LUXURY: Naadam launched last year as a direct-to-consumer, sustainably sourced cashmere label, but cofounder and chief executive officer Matt Scanlan always had his sights set on expanding to other fiber supply chains beyond cashmere. The company will accomplish that with its new collection, Studio by Naadam, launching this spring. The Studio collection, which will sit at a slightly higher price point, was conceived out of a desire to grow the brand both in terms of design and supply chain processes. “Our original focus was on changing the value proposition of cashmere using smart supply chain engineering that supported and benefited marginalized groups of herders and farmers,” Scanlan said. “We want to prove you can afford luxury by utilizing sustainability. People don’t live only in cashmere.” In addition to cashmere, the company will incorporate new materials into its Studio collection, including merino wool from Southeast Australia, Sea Island organic cottons, Belgian linens, sustainably-sourced Indian silks and alpaca and vicuna from the Peruvian countryside. 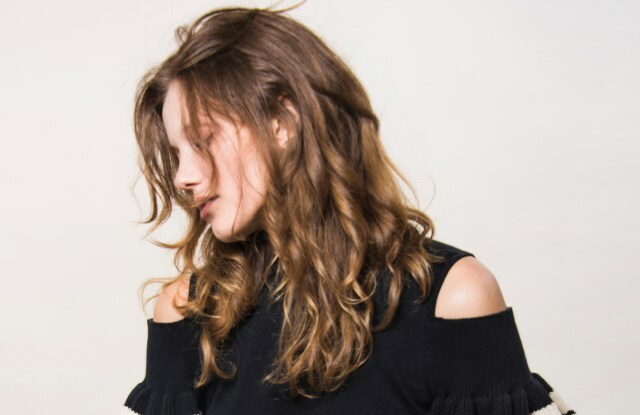 Another point of difference between the two collections: Naadam is only offered via e-commerce at NaadamCashmere.com, but Studio by Naadam will be wholesaled to select retailers including Steven Alan, Calypso, Intermix, Anthropologie, Revolve and Nordstrom. The collection, which will range from about $175 to $400, will hit stores in March.